Rated 5 out of 5 by Jan61 from Been using this toner for nearly 30 years! I’m 61 and have been using this toner since I was in my early 30’s. I love the smell and the way it softens my skin. I have combination skin, being more oily around my nose, but not as much as when I was younger. I use it on my face and neck every morning and night after washing my face, and can’t go without it! I tell my daughters that it’s the one product that I have consistently used over the years and will always use, and that I worry someday it will be discontinued! I remember reading something years ago that French women used it as a moisturizer, and I didn’t use one until I got into my 50’s. I guess I’m a true loyalist to what I think is a great product! I’m a person who wants to age naturally and gracefully, and will continue with Clarins Toning Lotion with Iris as part of my skin care regimen. Rated 4 out of 5 by Devin from Does Not Have an Intense Smell I bought this product along with SOS Clay Mask and Pore Control Serum to help minimize and control my pores. It does the job and makes my pores cleaner. So if you want to tighten your pores and minimize it, this might be the product. Rated 1 out of 5 by Atira759 from Not Right for Me Sorry, I love Clarins products but not this one. The scent is unpleasant and it leaves a residue on my face. I much prefer the Toning Lotion With Camomile which is lightly scented and the perfect toner for my skin. Rated 4 out of 5 by TaliaZ from Nice toner I like this alcohol free toner, it has natural ingredients which help refresh and soothing the skin. But just one thing, the fragrance is a bit strong, if it smells lighter would be perfect. Rated 1 out of 5 by Jony5 from I wanted to love this... 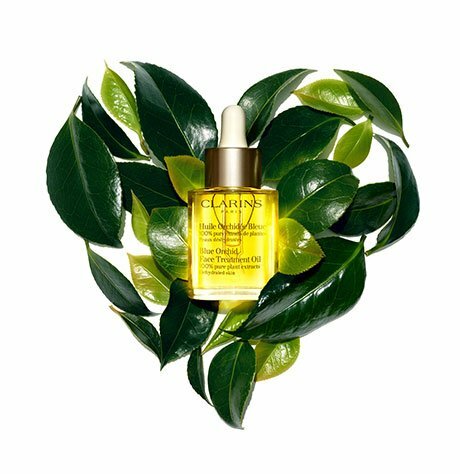 I wanted to love this because I love Clarins products. They are the ONLY skincare products that have cleared up my sensitive combination acne prone skin. And I've tried EVERYTHING and every brand imaginable. I've never had luck with any toners and this one was the same. It broke me out worse and was too strongly scented for me. However, I switched to the toning lotion with Chamomile along with the cotton seed cleanser and lotus oil and within 3 days my acne was gone for the first time in over a year. My skin feels clean, hydrated and it even seems to take away my blotchiness and soothe my irritated skin. It also seems to be getting rid of my acne scars and even out my overall skin tone. I couldn't be happier with my current Clarins regimen. This toner wasn't for me, but I should mention that I have allergies to a lot of products and super sensitive skin, so I'm sure that it could work great for others. My skin loves the chammomile toner though and I highly recommend it. Thanks Clarins for saving my skin. You've got a life long customer! Rated 5 out of 5 by Lynfromchicago from I have combination to Oily skin and Im loving it. It does help you keep that matte skin. I've been using it for over 1 year.